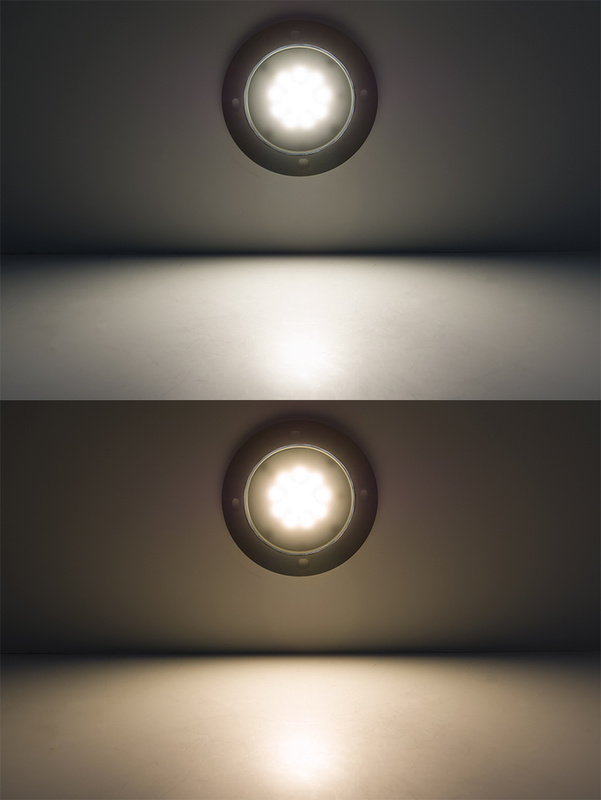 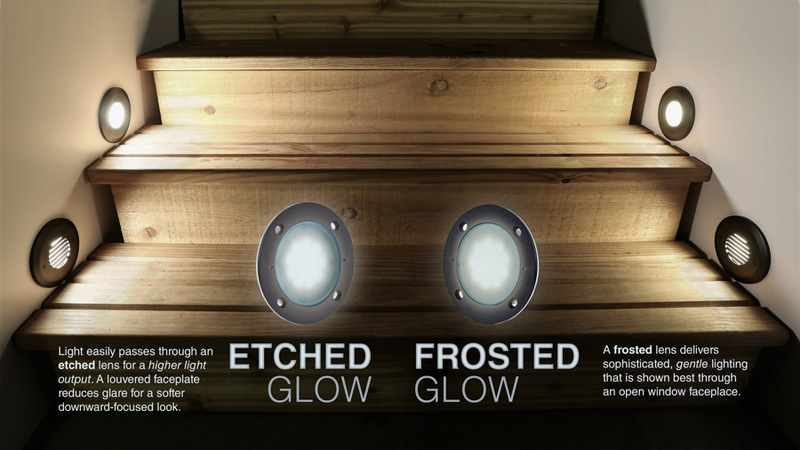 Face Plate for Round LED Step Light - Open Window or Louvered: Shown On In Natural White (Top) And Warm White (Bottom). 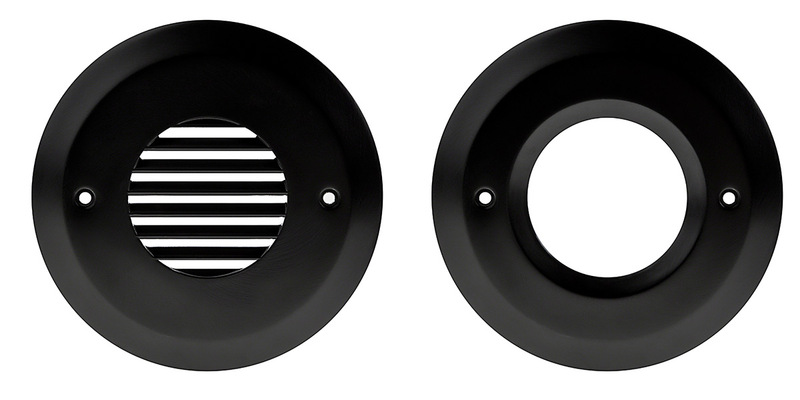 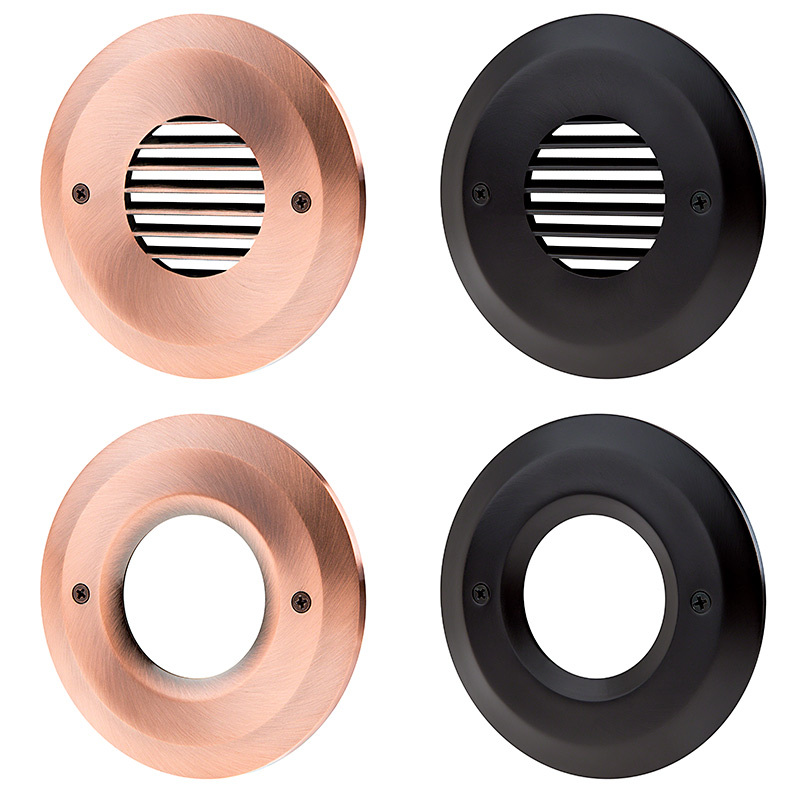 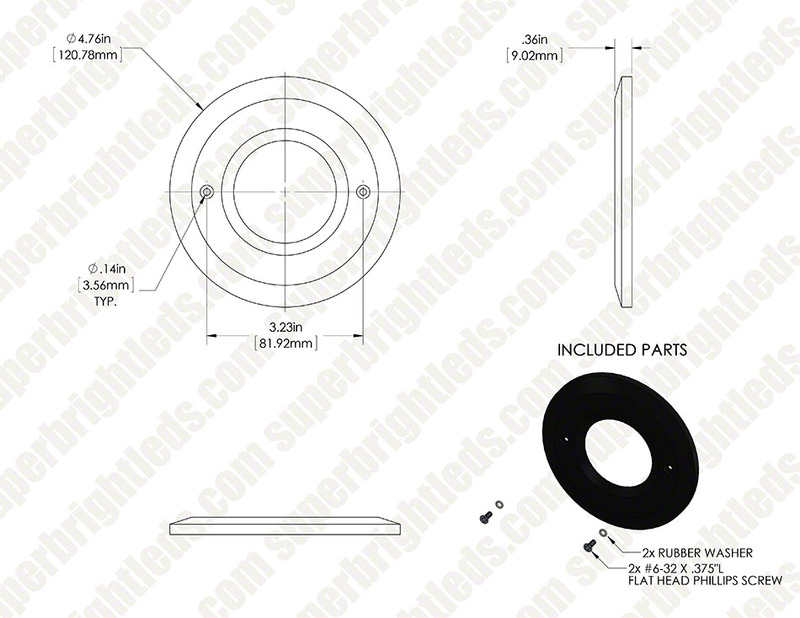 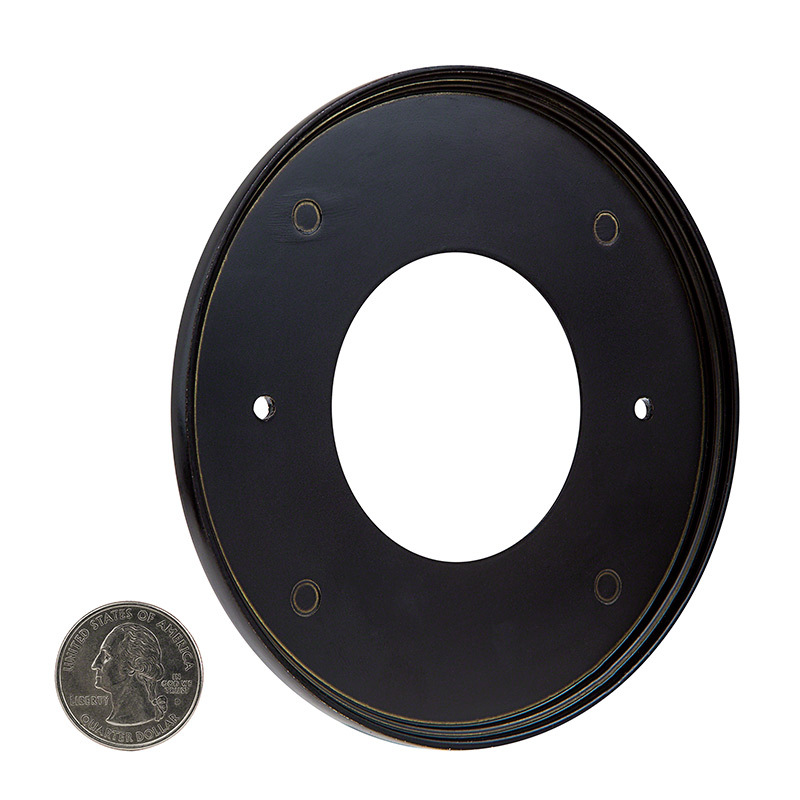 Round cast aluminum trim for frosted or etched round LED step lights. 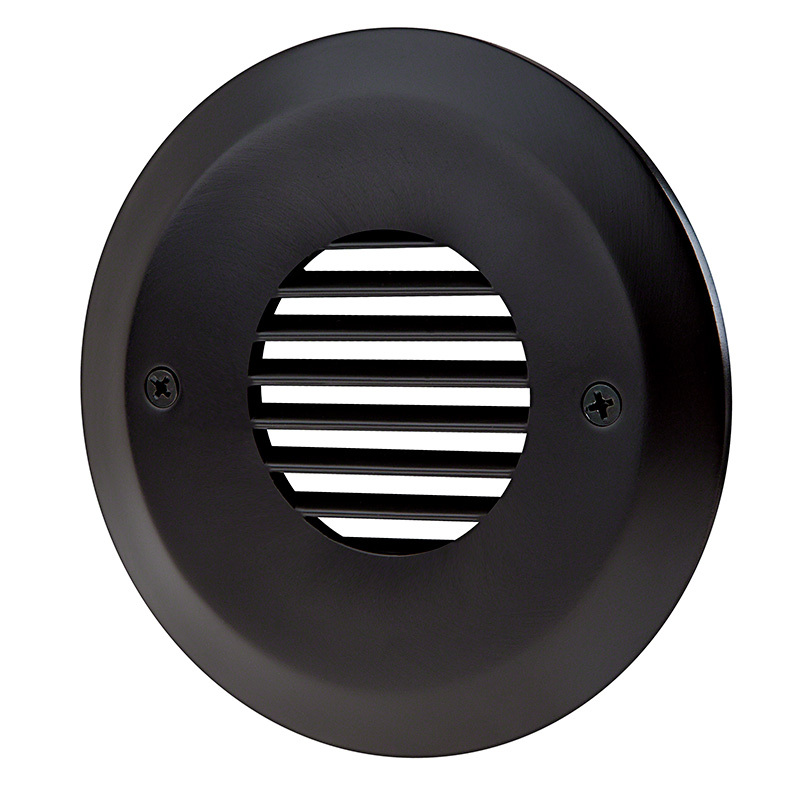 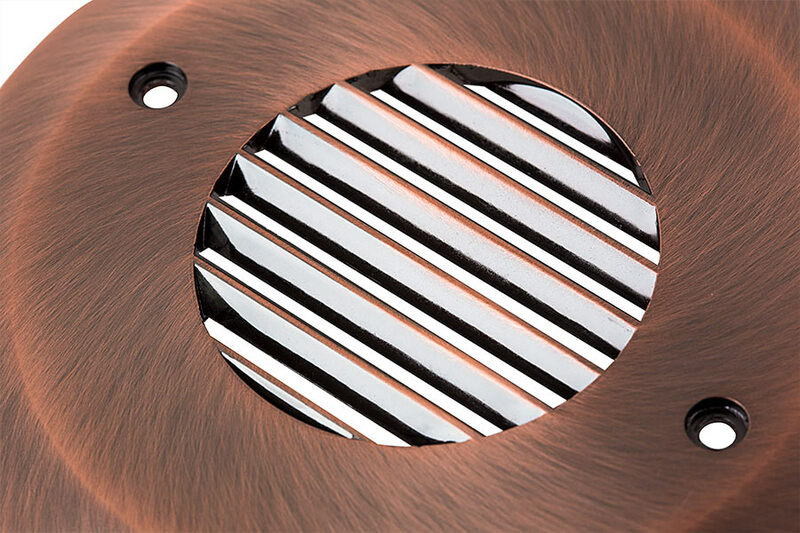 Available in windowed or louvered style with aged brushed copper or oil-rubbed bronze finish. 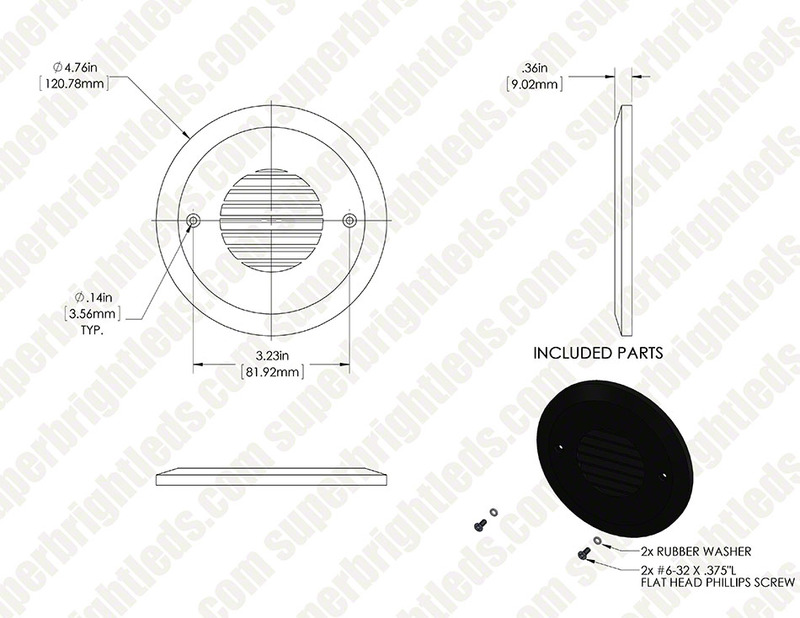 Includes mounting screws. 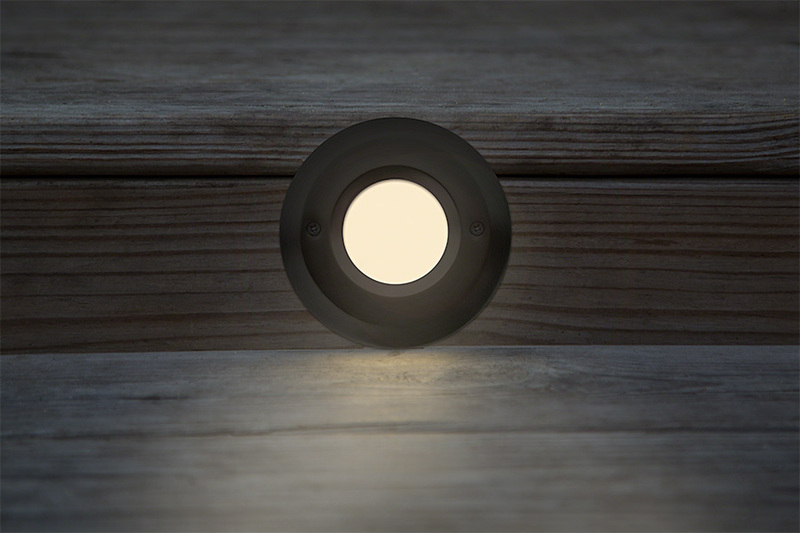 Because the step lights have built-in lenses, face plate lenses are not necessary and are not included.